So as of this writing, the experts are saying isolated T-storms, 30% chance of rain, a low of a mere 46 degrees. We never thought about having rain contingency plans. We remember last year’s ride, having had a record cold front come in over the weekend, temperatures were predicted to be in the low ‘teens. And then at ride time, we had just about the most perfect weather a bloke could hope for. All this is to say that we’re still on. See you on Sunday. Sincere apologies to followers of this humble little site… I fear I have not provided the frequent updates regarding the upcoming event to which you have become accustomed. In any event, it feels like we finally have some winter around here, though I can do without the drizzle – just enough to make things slippery, but not a beneficial amount of moisture. I say go ahead and rain for a couple of days, then clear up. We do have some cooler temperatures on the way. Things are supposed to get below freezing for a bit, then warm up for this weekend. Alas, we won’t be having the record-breaking cold front as we had last year, but with any luck, that 30% chance of rain for this coming Sunday will yield perfect conditions for the ride. 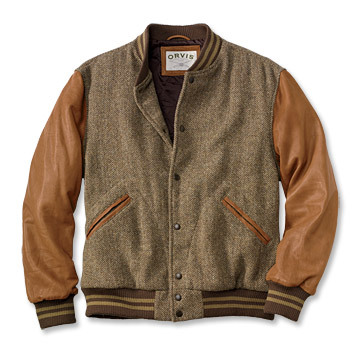 The tweed will come in handy, after all. Lube up your chains, inflate your tyres to the proper pressure, check your brakes. 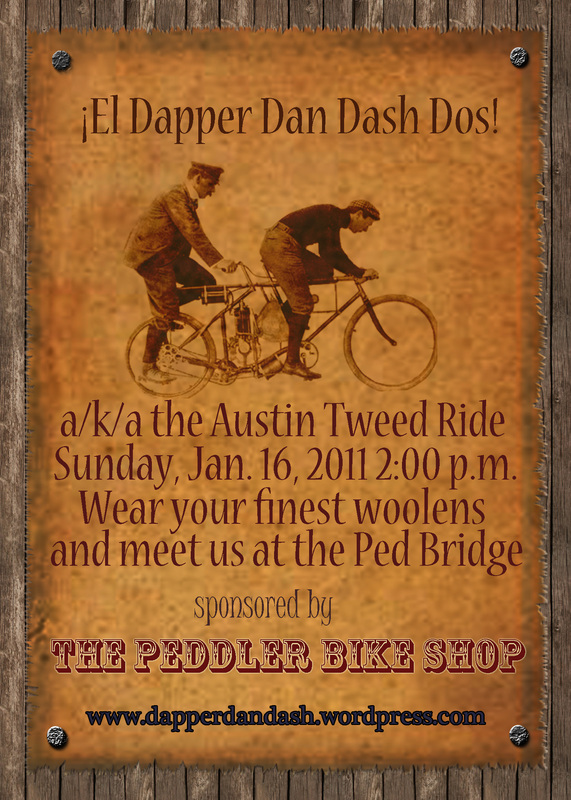 Do go visit the establishment of our gracious sponsor, The Peddler Bike Shop, for necessary adjustments to your vehicle. And when visiting that particular merchant, please be advised that the sign out front which states “Surly” is not intended to be a description of the temperament of the associates working inside. Rather, I have found them to be quite cheery chaps. Let’s saddle up and ride. We’ve set the date for ¡El Dapper Dan Dash Dos! Sunday, January 16, 2011 at 2:00 p.m. We will gather up at the Pfluger Pedestrian Bridge and take off from there. We will end up at the Peddler Bicycle Shop, at 51st and Duval, for tea and scones. The route is still in the planning stages. Anyway, we figured we are giving ample notice for you to put together suitable togs for this event. 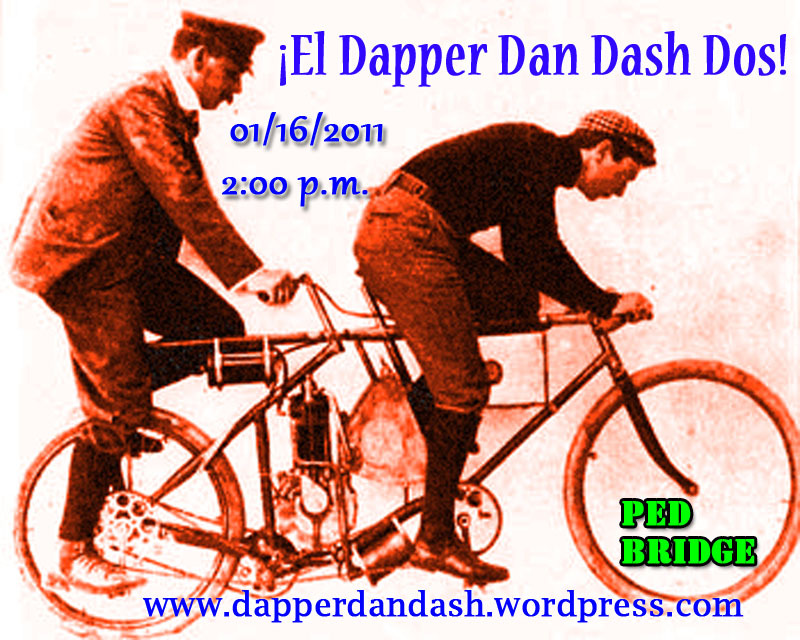 ¡El Dapper Dan Dash Dos! 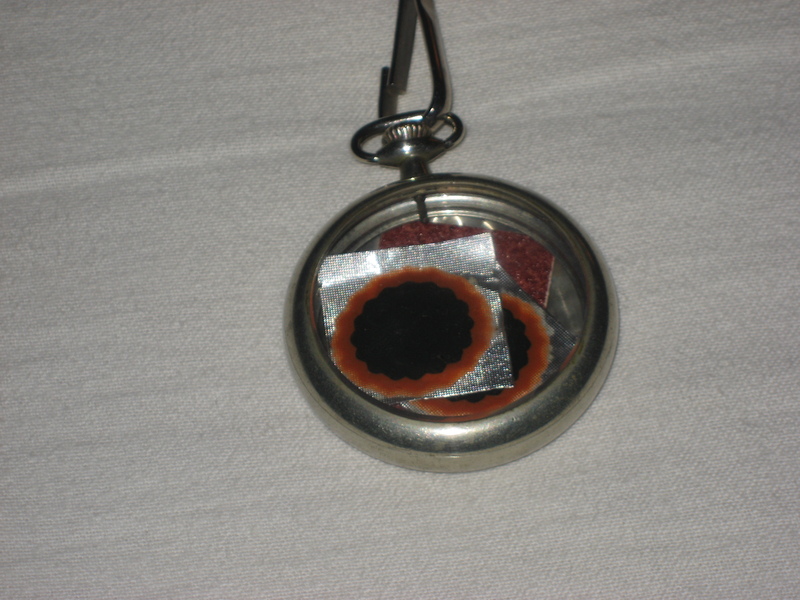 Yes, we just can’t ignore the gathering drum-beats… we suppose we need to put on another one of these things… if only for irony’s sake! Of course, that dang el niño has the temperature approaching 90 friggin’ degrees farenheit today, so we will need to resort to the Farmer’s Almanac and decide on a date when the weather will be a bit more conducive… we will shoot for another record-breaking cold front as we had for the first ride. We are looking at various dates in the January/February time-frame – ample notice for you to gather appropriate attire. What ??!! Are you still here? Good heavens, man, it’s been months since the Ride, and yet there are still those who visit. Well, alright then. While this blog was primarily established to inform those intending to participate in the Ride, a clear subtext was to provide advice on proper attire and accessories. Unfortunately, a fairly recent misuse of the Queen’s English has arisen in the field of haberdashery, and in the interest of public service, it behooves me to provide a bit of correction to those stumbling about in the wilderness. Button-down shirt, from Brooks Brothers, natch. See the buttons on the collar points? The collar buttons down onto the shirt itself. Hence the term. When one is out riding polo ponies, one doesn’t want one’s collar flapping about in the breeze, and so Brooks Brothers developed the button-down collar in the late 1800s to address this particular situation. The use of the term “button-down” to refer to a shirt that does NOT have a button-down collar is a form of illiteracy up with which I will not put. 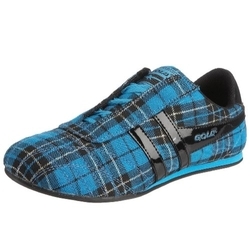 Folks, let’s be careful out there when describing apparel, lest you be made to look like an idiot. 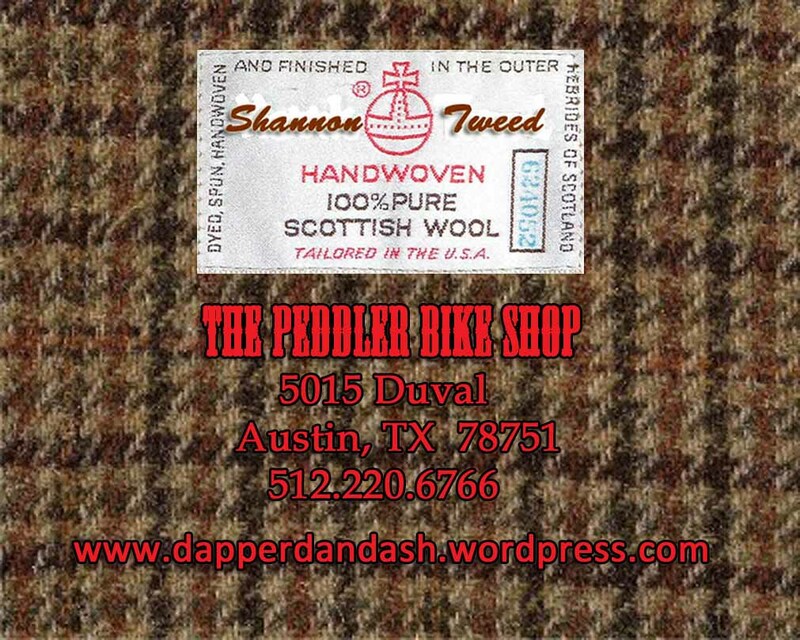 On another subject, some folks have asked if and when we will be having another Dapper Dan Dash/Shannon Tweed Ride. As we have discussed above, having a ride like this when its likely to be 90+ degrees Farenheit outside is sheer lunacy. So we will wait until the ol’ sun cools down to a gentle sear. Perhaps the ride will be in conjunction with the North American Handmade Bicycle Show, scheduled to take place in JanuaryFebruary, 2011. Watch this space for further details. Anyway, it occured to us that, tweed being the miracle fiber that it is, and given the plethora of tweed rides around the country, nay, the world, we ought to have more activities featuring the wearing of such clothing. Let’s start with tweed cyclo-cross… no, wait, we did that already, on the second leg of our “social” ride this past Sunday. How about tweed bike polo? Tweed crit-races !!! 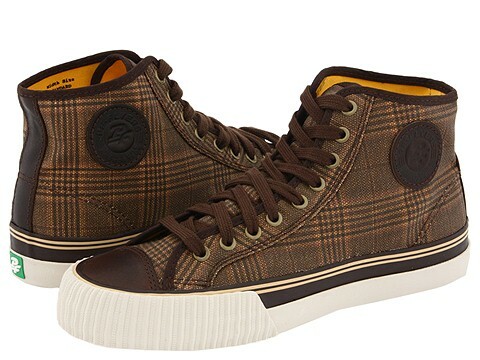 A tweed tour-de-Texas !!! 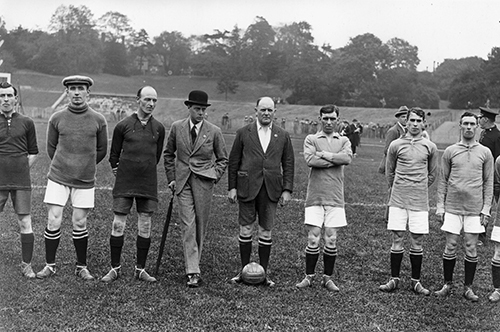 And let’s not only focus on tweed-and-bike activities… how about a nice little game of tweed basketball? There’s a point in the book The Electric Kool-Aid Acid Test, by that most dapper gent, Tom Wolfe, which demonstrates a particular theory of group consciousness. Ken Kesey and the Merry Pranksters, having just attended a concert by the Beatles, returned to their little ranch-ette/compound, and posted a sign, painted on a bedsheet, on their roof. The sign read “Welcome Beatles!” In their LSD-induced logic, Kesey and his followers believed that, by hoping, wishing and praying, the Fab Four would just drop by after their concert to party with the Pranksters. Needless to say, that didn’t happen. Despite Mr. Armstrong’s obvious absence, I think we had a good experience, for the most part. While we did not take an official census, we believe somewhere in the neighbourhood of sixty to eighty folks showed up, rockin’ in tweed, various other woolens, caps, bowlers, top hats, goggles, just an assortment of stuff. Sure, we were in the midst of a record-breaking cold front, but the temperature at ride-time was a balmy mid-40s. Speaking of ride-time, my own timepiece had lost its horological innards, replaced by a tube patch kit, and I was without means of keeping good time. We therefore departed at a fashionably late hour. I guess I should have been prepared for anything after I saw my son, your co-host having just arrived from his previous ride. I was wondering just what he was doing with that wine-bottle cork, burning the end of it and rubbing it on his face. Then he explained it all to me – he was made up as an open-cockpit RAF pilot. Our thanks to all for coming out. Apologies to all who had a less-than-smashing time. All errors in judgment/planning of this event were strictly those of the author. The Peddler Bike Shop and its staff should be held completely blameless of any shortcomings. Thanks to all who braved the record cold (for Austin, anyway) weather and came out yesterday. While a more proper de-briefing will come later, we’ve set up a flickr group for your photos. We would humbly request that you post your photos on that group, if you please, to serve as public evidence that the ride actually did occur. Update: Pardon me; I’m still new to this internets stuff (and my computing machine still runs on kerosene). Anyway, I think I’ve got the flickr group corrected so that you don’t need to actually have a Yahoo log-in just to be able to view the photos. You do, however, need to be a Yahoo member (and perhaps be one of our Baker Street Irregulars) in order to post photos to the group.